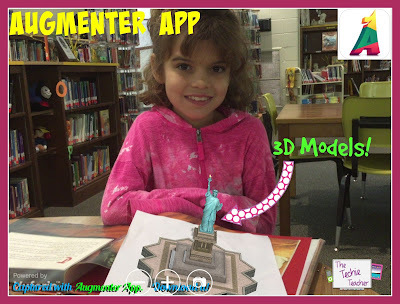 AMAZING Augmenter App | The Techie Teacher® . 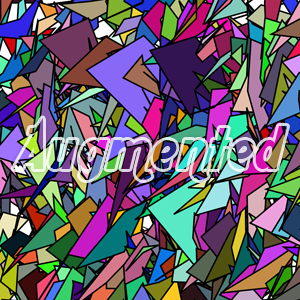 A few weeks ago Antara from Trendyworks Technologies contacted me to tell me about their new augmented reality app, Augmenter. After playing around for a little bit and having some kids use Augmenter, I have fallen in love (again) with another cool app! Atomic structure of 50+ elements including hydrogen, oxygen, carbon, Nitrogen etc. Molecular structure of benzene, carbon di oxide, methane, ethane etc. Animals include animated dinosaur, animated tiger, elephant, giraffe, fish, deer, stag, rhino, hippo, duck, dolphin, beetle, penguin, rat, scorpion, tortoise etc. Fruits like Apple, orange, mango, pomegranate, banana, guava, pear, pineapple etc. 10 types of christmas trees used across America. Important monuments like lincoln memorial, statue of liberty, liberty bell etc. What really makes this AR app stand out are the cool interactions. Students can add titles for parts of the model, take apart individual parts, hide parts, highlight parts, set transparency, break apart the whole model, analyze parts, take screenshots and use a pen tool for drawing over the models. How does it work? All you need to do is download the FREE app and print out one of these markers. Launch the app and everything is pretty much self explanatory.